If you have the good fortune to travel in a country with a thriving Buddhist community, by all means – spend some time in the wats (temples)! They are the epicenters of many Asian communities; the lives of young and old revolve around temple life, and it is a profound way to connect with true local culture. 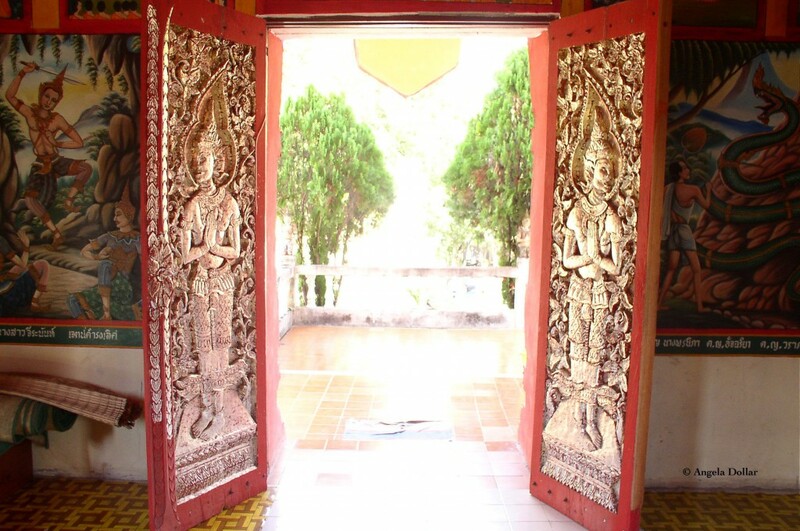 Luckily for us westerners, travelers are welcomed into Buddhist temples to simply observe, to meditate or to participate in rituals and offerings. It is extremely important that you dress respectfully. Short-sleeved shirts and tank tops are not acceptable for men or women to wear. Likewise, both sexes should plan to cover their legs. Some wats will have sarongs on hand for this purpose, but its best to plan ahead and come prepared. Shoes are left outside the temple; this will be hard to forget when you approach the large mass of shoes outside. Observe local customs when interacting with a monk, nun or holy person. In most Asian countries, it is disrespectful for a woman to touch, be touched by or sit next to a monk. She must also not hand him anything directly. (Instead she should place it within his reach.) 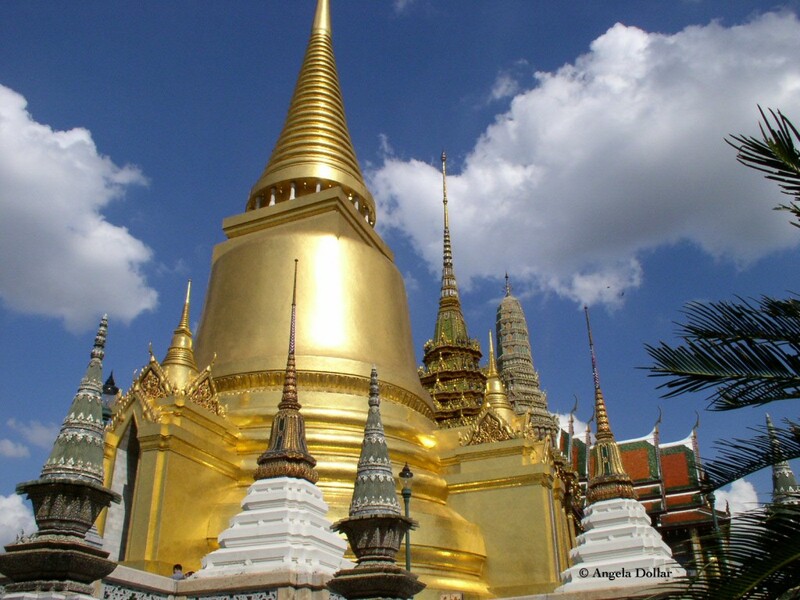 A good guidebook will outline the particular customs of the Buddhists in a given country. Consider your comportment – whenever you are inside a Buddhist temple or at a holy site, you should be calm and respectful, although not altogether quiet. Actually, one aspect I love is the low buzz of noise at an active wat – the air is filled with prayers, gongs, recitations, and bells. Buddhist statues and images are considered sacred, so do not pose in front of, lean against or crawl on them. Also take care to be sure your feet are never pointing directly at a Buddha or relic when sitting or kneeling. 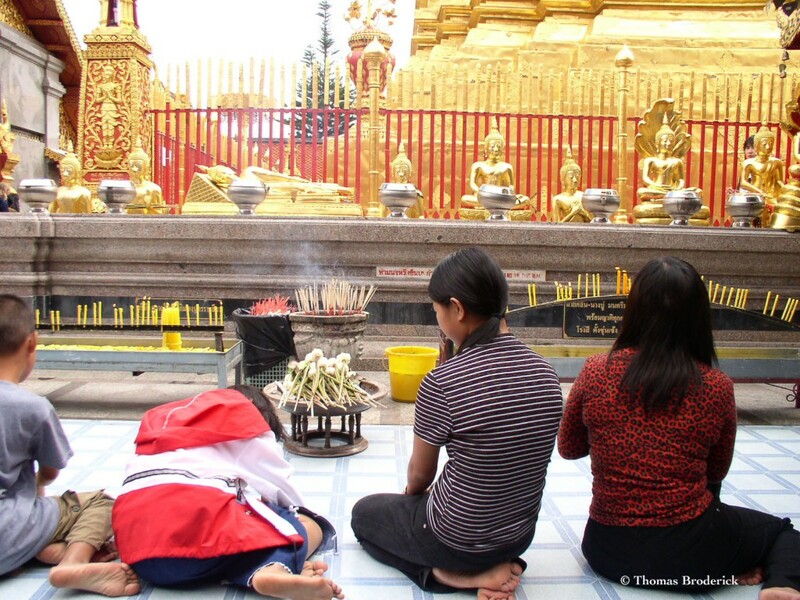 You may observe (and even choose to participate in) rituals and offerings at a wat. Temple-goers around you may be bowing, chanting, processing, lighting incense, or engaging in a host of other activities that you may not understand. The beauty of sitting in a Buddhist temple is that you can take it all in, and even find your own spiritual connection to the moment. Small monetary contributions are welcome, as are offerings of food and supplies to the temple’s monks, nuns and lamas. Asian families regularly bring offerings to temples to support of their religious community and gain religious merit for this life and the next. Planning to visit a Sikh temple? Here’s some tips to do so respectfully. Be sure to visit Delicious Baby for your Friday photo fix!